Of the two great mysteries of the 1880s, one seems long odds against ever being solved. There have been plenty of theories and suspects, but can we be persuaded that Walter Sickert was Jack the Ripper? Pull the other one. The Duke of Clarence? Come off it, that’s far too fanciful. But it appears that we do now have a solution to the other question of identity that surfaced in the same decade and for so long seemed to be impossible to resolve: who was the colt who finished first in the Derby of 1880? The record books will tell you he was Bend Or, a son of Doncaster and the Thormanby mare Rouge Rose, bred and owned by the 1st Duke of Westminster, trained by Robert Peck, and ridden to a narrow victory by Fred Archer. He later had an outstanding stud career, becoming sire of Ormonde, the best horse of the 19th century, and among his fourth-generation tail-male descendants was Phalaris, the most influential sire of the 20th century. It hardly needs saying he was a horse of tremendous significance in the development of the breed. So where is the mystery? Well, the stud groom at Eaton, where Westminster’s stock was kept, said two colts, both chesnut sons of Doncaster, had been inadvertently switched after they left the stud, and that the one who raced as Bend Or was Tadcaster, the product of a Newminster mare, Clemence. Bearing in mind that the groom, Richard Arnull, had been fired by Westminster and was working out his notice when he made the allegation, it might have been construed as a mischievous, even malicious, attempt to embarrass his employer. But it was said that Arnull persisted in his story until his dying day, long after the Epsom stewards had come to the decision that Bend Or was the horse he was supposed to be. Doubts remained, fuelled some years later by a statement from one of the stewards, James Lowther, indicating that from evidence he had obtained subsequently, he was inclined to the belief that he and his colleagues had come to the wrong conclusion. Sadly, he appears not to have divulged the nature of that later evidence. 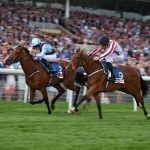 The matter had been brought to the attention of the Jockey Club in mid-July, seven weeks after the running of the Derby. Acting on the information given to them by Arnull, Charles Brewer and his trainer Charles Blanton, joint-owners of runner-up Robert The Devil, wrote to the stewards and to Weatherbys, objecting to the result “on the ground that Bend Or was not the horse he was represented to be, either in the entry or at the time of the race.” They naturally also claimed the winner’s purse of £6,375. The case was considered in four sessions over ten days, the first to decide on procedure, with witnesses examined on the second and third occasions. Some witnesses were re-examined on the fourth day before the stewards retired to deliberate, and after three-quarters of an hour they issued their verdict, declaring that Bend Or was Bend Or, and that the Derby result would stand. All the meetings were conducted in private and none of the evidence presented was ever published. But, inevitably, a few snippets did emerge from those involved, not least that the Duke of Westminster’s private stud book was kept so haphazardly as to be a virtually worthless document. The Duke’s Master of the Horse, Colonel Barlow, had not even kept a record of the markings of the colts foaled in 1877 before they left the stud for Barrow’s stable in Newmarket, en route to Russley. Evidence provided by Arnull and his two sons (both of whom had also been employed at Eaton) was all to the effect that Bend Or was Tadcaster. Just why the stewards needed to interview Peck and Sherwood, his head man, it was hard to imagine. Yes, they could confirm, from markings recorded, that the colts who arrived at Russley were those who had been at Barrow’s, and whose markings had been duly noted there. But that was not the issue; if there had been a switch, it had occurred because the pair had not been properly identified before they left Eaton. Anyone aware of how the Jockey Club used to administer justice will not find it hard to imagine that the stewards would decline to take the word of common grooms against that of the nobility; the Duke of Westminster was the richest man in England at the time. They would have been at pains to avoid the slightest whiff of a scandal. 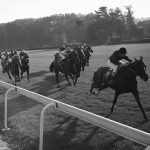 The affair had been pretty much of a nine-day wonder and the public soon put it to the back of their minds as they considered the forthcoming St Leger – won, incidentally, by Robert The Devil, with Bend Or the unplaced odds-on favourite. But from time to time the subject surfaced and for some reason it was resurrected in 1914, when it became subject of debate in the columns of Horse & Hound and the Bloodstock Breeders’ Review. What emerged then were several items of circumstantial evidence that supported the stewards’ decision. Bend Or had very round hoofs, a characteristic common in the family from which Rouge Rose descended. A lot of Bend Or’s stock were crib-biters, a vice for which Rouge Rose was herself notorious. And the Russley blacksmith reported that Bend Or and the other produce of Rouge Rose were always easy to shoe; Tadcaster would not allow him near his hind feet and others out of Clemence were the same. Besides, although both colts were chesnut, Bend Or was of the golden type with black spots, Tadcaster of the red variety and with lop-ears. There could be no mistaking them. Well, not when they were in training, but that was not the point. An interesting fact that drew no comment in the 1914 debate was that in 1882 Clemence was covered by Bend Or. It is hard to imagine that the Duke of Westminster would have sanctioned that mating, if he had believed that Clemence was Bend Or’s dam. He did, though, quickly dispose of the resultant filly, Lenity, who ran three times in sellers for James Machell and was once placed second. She went on to breed several winners, none of them of much account. In 1880 nobody was aware of Gregor Mendel’s researches and the word genetics had yet to be coined. By 1914 that branch of science was new and little understood, even by those involved, and many practical horsemen were focusing on Bruce Lowe’s classification of female lines as a tool to apply in the mating of their mares. We know now that Lowe’s ideas were nonsense; adherence to his figure system never helped anyone to produce a superior horse. But there was to be an unexpected by-product of his family classifications when geneticists came to discover mitochondria and recognise a factor that was passed solely in the maternal line. And when techniques were developed to extract DNA from the bones of dead horses, there was a way to verify or disprove their female lineage. A team led by Mim Bower at Cambridge University got to work on the skeleton of Bend Or, long preserved in the Natural History Museum, to discover whether he came from the No. 1 family to which Rouge Rose belonged or the No. 2 family of Clemence. 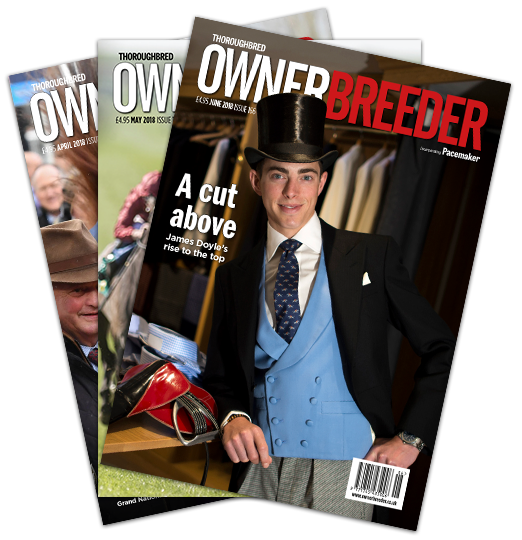 It’s time to re-write a million pedigrees! The skeleton’s mitochondrial DNA proved characteristic of the No. 2 family, the assumption being he was the son of Clemence. He could not have been out of Rouge Rose, despite all that circumstantial evidence. Unlike his chief rival, whom he beat three times out of five, Robert The Devil made no mark as a sire, but he is still with us, a tribute to the taxidermist’s art, adorning Gibson’s saddlery in Newmarket. Celebrated as winner of the Grand Prix de Paris and St Leger, we must now recognise him as the horse who should also have been awarded the Derby.